From the Royal Albert Hall, London, BBC Symphony Orchestra under Josep Pons. Jonathan Dove: Gaia Theory (world premiere). Mozart: Piano Concerto No 23 (soloist: Ingrid Fliter). 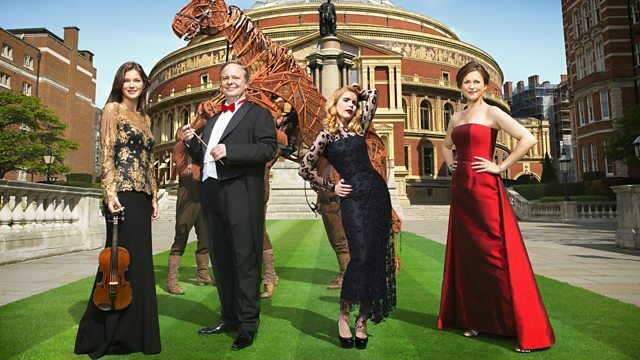 The BBC Symphony Orchestra & Josep Pons live at the BBC Proms. Jonathan Dove explores Gaia Theory, Ingrid Fliter in Mozart's Piano Concerto No 23 & Ravel revels in Daphnis & Chloe, joined by the BBC Symphony Chorus. This Prom will be repeated on Thursday 31st July at 2pm. Orchestra: BBC Symphony Orchestra. Performer: Ingrid Fliter.